Summary: Lawyer was named the most boring job in the world in a recent employment survey. At some point in our lives, we’ve all been clockwatchers, counting down the minutes until the end of our work day. However, unfortunately for lawyers, that feeling of utter boredom isn’t in the past. Instead, it’s a daily reality. While TV lawyers in The Good Wife or Law and Order seem to be solving mysteries or grandstanding in the courtroom on a daily basis; in real life, most lawyers examine tedious documents for hours and hours a day, concentrating with little distraction and thus little fun. 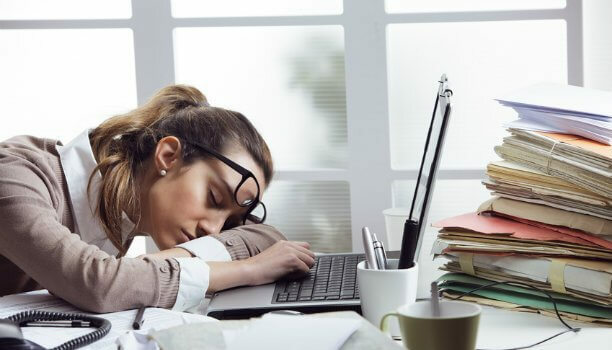 So it was no surprise when employment specialist Emolument surveyed 1,300 professionals from 14 different job sectors and found out that those in the legal field think their jobs are snoozers! Eight out of 10 legal professionals surveyed said their job sucked and was boring. Those in project management and support functions were the next on the list with lame occupations, followed by finance control and accounting. On the fun end, people who worked in education, executive management, and research seemed to have a party every time they showed up to the office, much to the envy of their lawyer friends who sit quietly and read all day. The boring jobs listed all were professional and high-paying, but ask a little kid what they want to be when they grow up and they’ll never say a dud in a suit looking at boring paperwork or spreadsheets. While kids may think lawyers aren’t like that when they’re young, their rude awakening as adults could be one reason why so many attorneys have drinking problems. What do you think is the world’s most boring job? Let us know in the comments below!